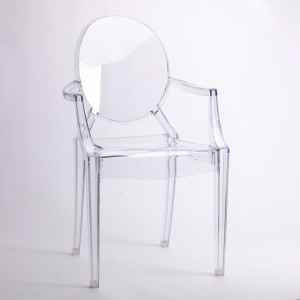 The Clear Ghost Transparent Contemporary Armchair is made to top quality this product is a very modern classy design. The chair is stackable for ease of storage made from a very durable strong plastic. 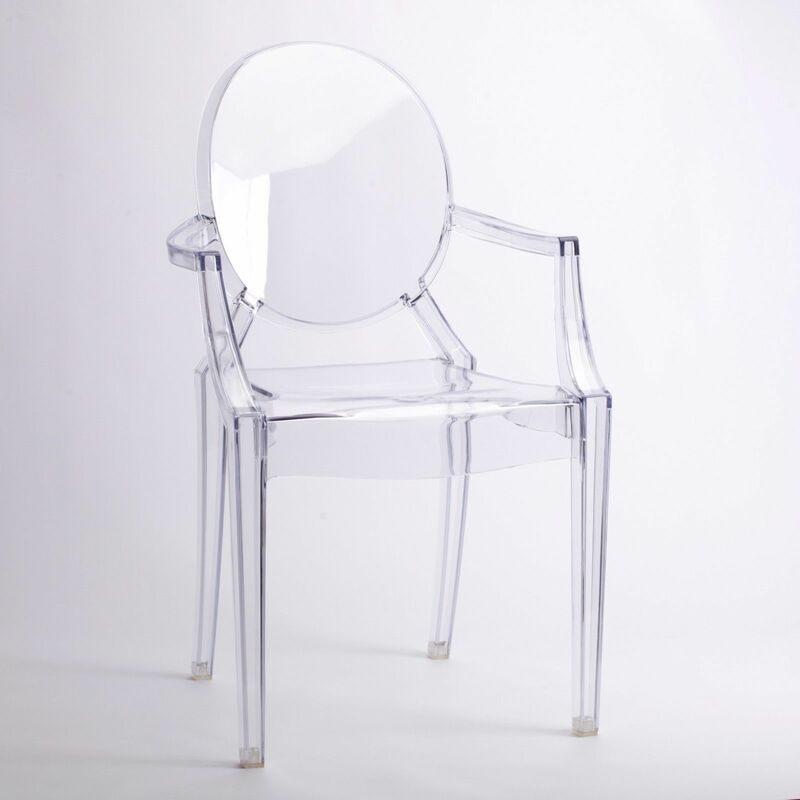 This reproduction Inspired Ghost Chair is made from a single mould of polycarbonate. Making it extremely hard wearing as well as being shock and weather resistant. Size: H: 93 W: 54 D: 57cm. Seat Height: 48cm. Arm height - 67.5cm. Made from a single mould of polycarbonate. Extremely hard wearing as well as being shock and weather resistant. Order before 11.30am Monday-Friday for Guaranteed next working day delivery to UK mainland. Remote areas and international deliveries usually take 2-5 working days and are subject to additional delivery charges. For full information of delivery terms please CLICK HERE.